I’ve never been a particularly high earner and have always looked for ways to earn money on the side. Even when I was a kid, I’d knock on doors to find odd jobs like mowing lawns and shoveling snow. Once I got to college, I discovered Craigslist and it changed everything for me. I realized how much money could be earned online through side hustles, flipping items, and buying used stuff. Plus, I liked that I could create my own schedule. Fast forward to today and it’s even easier to earn money on the side. The key is, finding the ones that work best for you. I’ve probably tried a hundred different money-making apps over the years; some started out well but faded, some were just bad to begin with, and a few turned out to be keepers – which are the ones I want to share with you today. These are all from my personal experience so yours will likely be slightly different, but I typically earn over $200 per month with very little effort. One last thing – I think it’s really important to decide which side hustles make the most sense for you. No one can tell you what’s best for you. For me personally, I’ve put a dollar value on my time and I weigh that value against how much time and effort is needed to continuously keep up with my side hustles. Ebates is by far one of the easiest ways to save money when I shop online. Even though there are several shopping portals out there nowadays, I’ve always used Ebates as my primary cash back shopping portal and am happy with the savings. If you haven’t used a shopping portal yet – don’t worry a bit. It’s quick, easy, and you don’t need a lot of technical skills to start saving. Just sign up for Ebates here so you can look through all the available offers (there are hundreds!) and begin saving immediately. As a bonus, Ebates will give you $10 back after your first purchase of $25 or more in the first 90 days. They have a huge network of partners, including Amazon, Target, Walmart, Kohls (pretty much all the big stores), along with some you might not expect like Patagonia, StubHub, Apple, even Verizon and AT&T. With a few exceptions, pretty much all the stores I can think of have discounts through Ebates, so even if you use it once, it will have been worth it, in my opinion. I like that Ebates will notify me when I’m on a site that offers a cash back discount through the free desktop plug-in, and all I have to do is click on the button to activate it. Once you’re signed up, select the online stores you like to shop at and you will notice the offer has been “activated.” Then, shop as you normally would. It really is that simple! Earnings are then sent automatically by check or PayPal every three months, as long as you have earned $5 or more. There is literally nothing else to do, Ebates handles the rest. Aside from the retailers I mentioned above, Ebates also has some great partnerships with the biggest names in travel, which I get so excited about since I love to travel. Case in point, a few months ago, my wife and I went to Utah and used Ebates as a way to save money when booking our trip through Orbitz.com. By simply shopping through Ebates to book everything we wanted from Orbitz, we earned close to $150 back so easily. I’m sure a lot of people have heard of Ibotta by now, but if you haven’t yet, it’s another easy way to save serious some money – especially at brick & mortar stores. It’s similar to Ebates since you earn money back on purchases, but some parts are different. For instance, to verify you purchased an item, you'll take a picture of your receipt and submit it through their app on your phone. 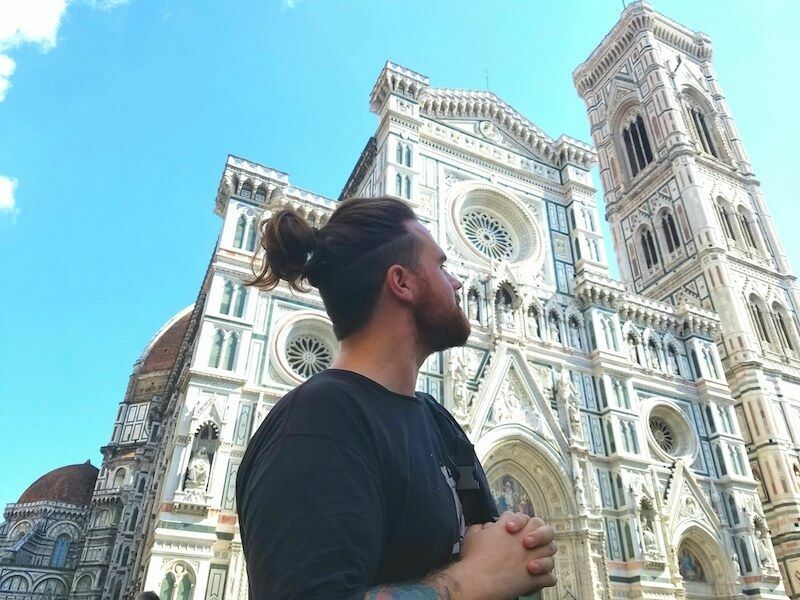 I don’t want to make it sound more complicated than it is because honestly, it’s so simple and has become part of my routine for earning easy money. Once the receipt clears, you can expect to receive the money in your account within 24-72 hours (I usually see it hit my account within 48 hours). Sign up for Ibotta here and then download the app on your smartphone. Then, you can search through the offers and choose the discounts that interest you. For instance, if you’re buying a box of granola bars at Target, search through the Target offers to see if that brand or product has an offer available. You can also scan the barcodes of each item in your cart before going to the checkout which can save a bunch of time. Buy the product, submit your receipt by taking a photo through the Ibotta app, and voila!, your cash back earnings will hit your Ibotta account within 72 hours. If you want to explore stacking rewards – which I personally always do – you can combine Ibotta offers with manufacturer coupons, in-store coupons, and credit cards, like the Blue Cash Everyday Card from American Express that earns 3% back on all grocery store purchases. Sometimes, when promotions and offers lineup just right, I'm able to get items for free or even make money from them! Last year, my wife and I found a deal at Kroger for shampoo and conditioner and ended up with over 500 bottles of it. Yes, 500. After combining our Ibotta offers, manufacturer coupons, and rebates, we profited nearly $400 from “buying” those 500 bottles. Crazy, right? 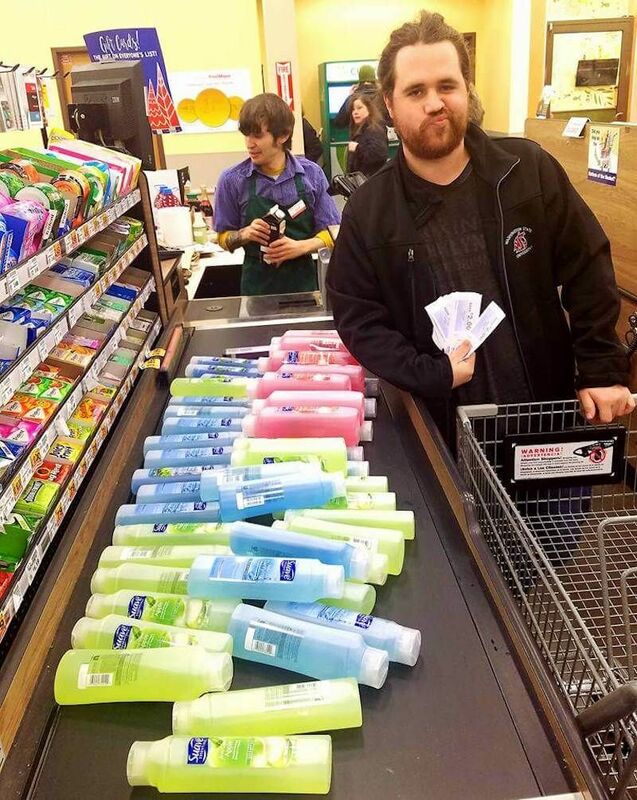 It certainly took time to put our plan of attack together for the bottles of shampoo and conditioner, so I wouldn’t recommend it if you’re completely new to stacking rewards, but this just goes to show that apps like Ibotta can play a big role in earning money back on a regular basis! I love saving money (obvious by now), but I like making money even more. Another easy way I make up to $150 extra dollars a year is by using Fronto. It’s a screensaver mobile app that pays me just for having the app on my phone. There’s no limit on how much you can earn, so the more you use the app and your smartphone, the more you can earn. And, since I use mine a lot, it adds up quickly! Once you download the app and set up your account, you can start earning money immediately. Fronto will put a new screensaver or advertisement on your phone every time you lock it. To unlock it, just swipe their lock screen away. It’s really easy to get used to. Swipes can earn you points and when you have enough points for the reward you want, you can redeem your points through the app. Reward options include money sent directly to your Paypal account, a Visa Prepaid card, or a gift card from a large list of retailers like Target, Starbucks, Chipotle, and Amazon. I usually choose the Target gift card, so I can combine coupons, Ibotta, and Ebates to get even more out of my side hustles! After years (and years) of doing side hustles, one thing is clear – there is real money to be made when you find a really good side gig. I’ve run into my fair share of issues with various apps and savings programs, but the ones I mentioned above have worked their way up my ‘favorites’ list for good reason – they are safe, reliable, and they work. Anyone can do this but having a little bit of guidance can help if you’re just getting started. Try something new and step outside of your comfort zone. Trust me, my first side hustle didn’t involve couponing and I didn’t start bragging about it when my wife and I were on our first date (although I did use a gift card on that date!). Keep going and keep it fresh. Once you find something that works for you and it becomes second nature, add another side hustle to the mix! Talk about it and share with others. I’ve found so many opportunities I had no idea about just by talking to others who also do side hustles. There are so many easy ways to earn money on the side, it’s nuts. Take a piece of the cake for yourself! Learn the ins and outs of your new side hustle. My side hustles above take me less than an hour per week, total, but when I first started, there was definitely a learning curve and it took up more of my time. I hope by sharing some info on how I make extra money each month helps you earn a little extra as well. Do you have a side hustle yet?